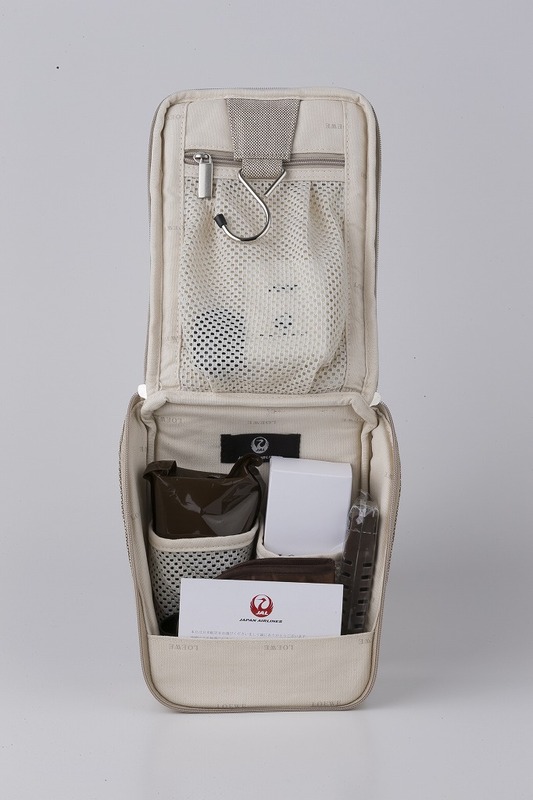 Now we love a good amenity kit here at thedesignair.net. It seems that every airline has tied in with another brand, Emirates and Bvlgari, Cathay Pacific and Jurlique and British Airways and Elemis. 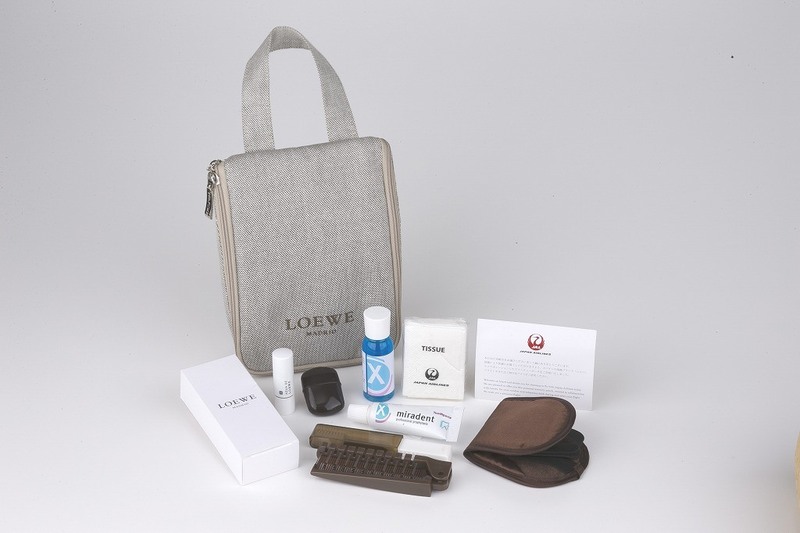 However, Japan Airlines has showcased their new amenity kits by none-other than super-cool Spanish brand Loewe. Only available in first class, the amenity kits differ in design depending whether you are flying inbound to Japan or outbound. The kits inside are fairly regular offerings, and are comprised of a toothbrush set, mouth wash, earplugs, eye mask, towel, lip cream, brush,moisture mask, and pocket tissue. However, the two collectable kit bags will also change in appearance dependant on season. The beautiful canvas bags handed out on the outbound flights, will be beige in spring and summer, and brown in autumn and winter. 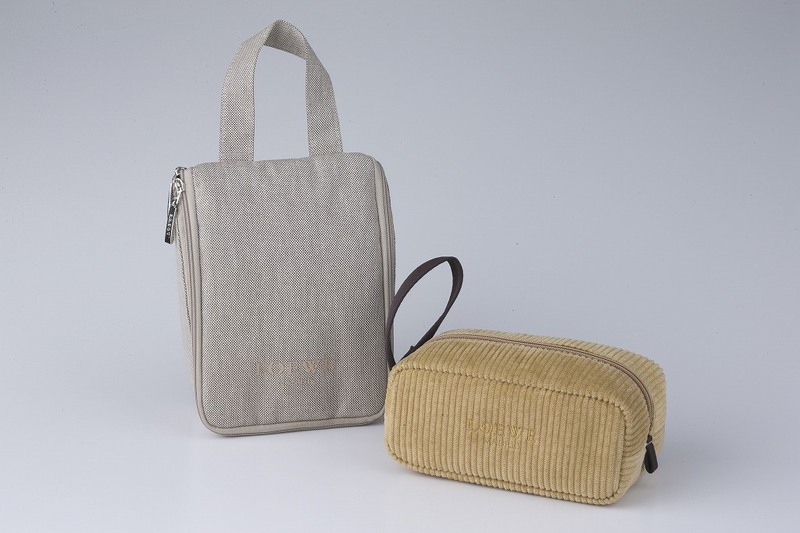 The alternative corduroy toiletry bag, offered on inbound flights will be camel coloured in spring and summer and moss green in autumn and winter. From March 30, 2014 the new amenity kits will be available on First Class International Routes between Tokyo Haneda to London & Paris, and Tokyo Narita to Frankfurt, Los Angeles, New York, Chicago and Jakarta.